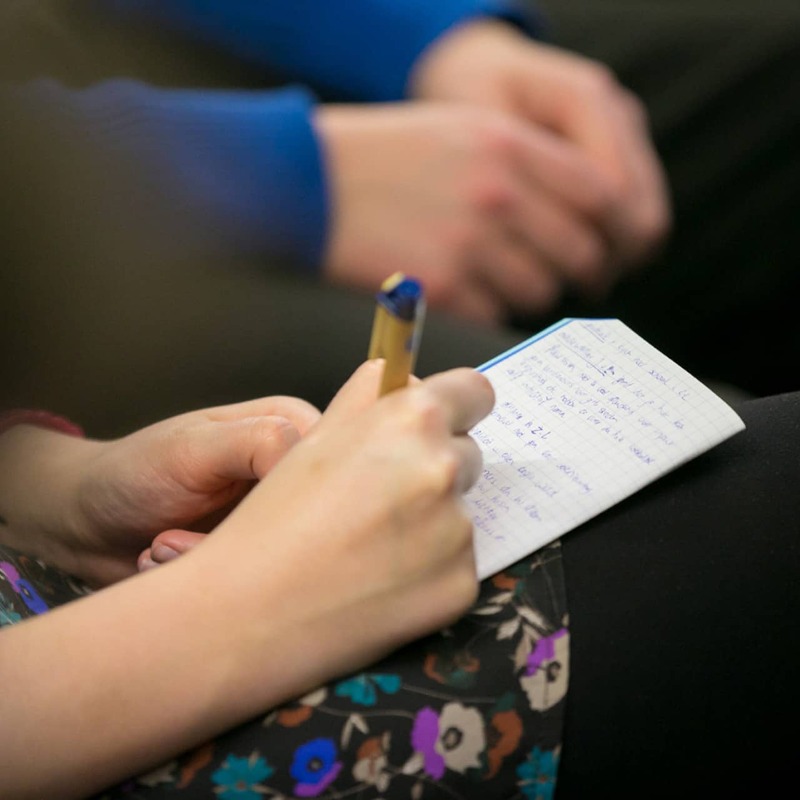 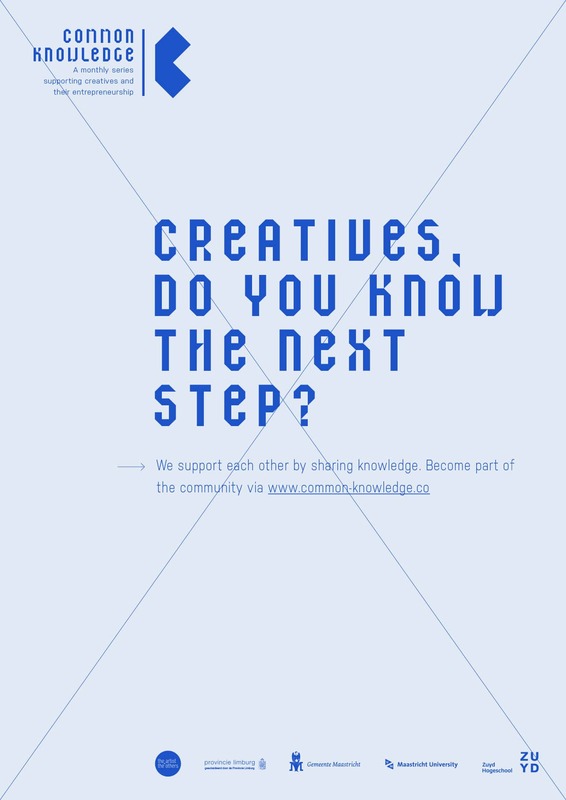 A monthly event for sharing ideas, knowledge and experiences in the creative sector. 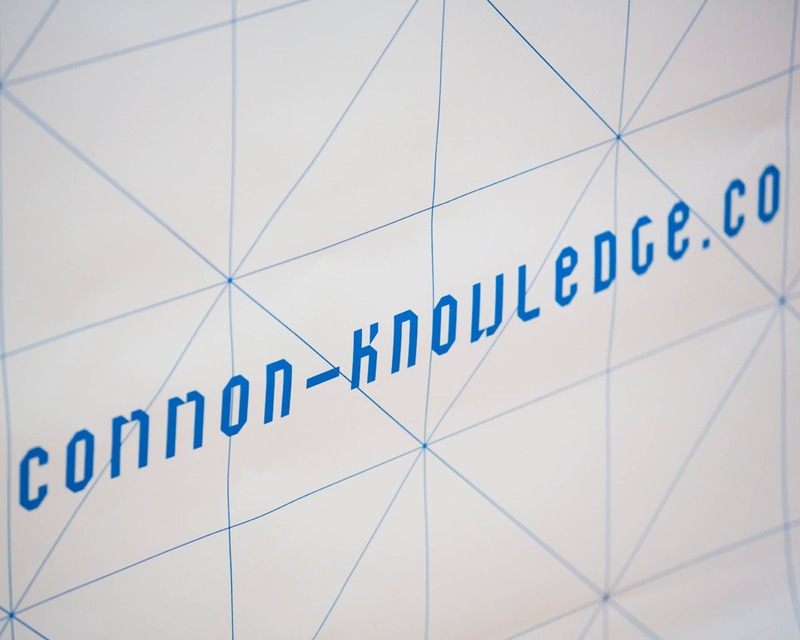 Common Knowledge is the home for starters and professionals who are involved with cultural entrepreneurship. 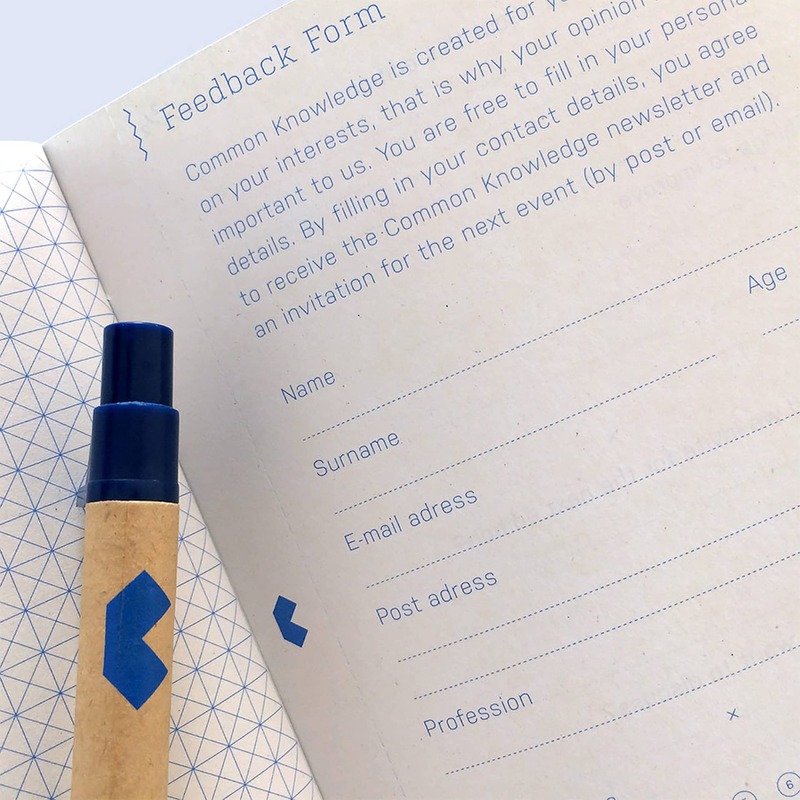 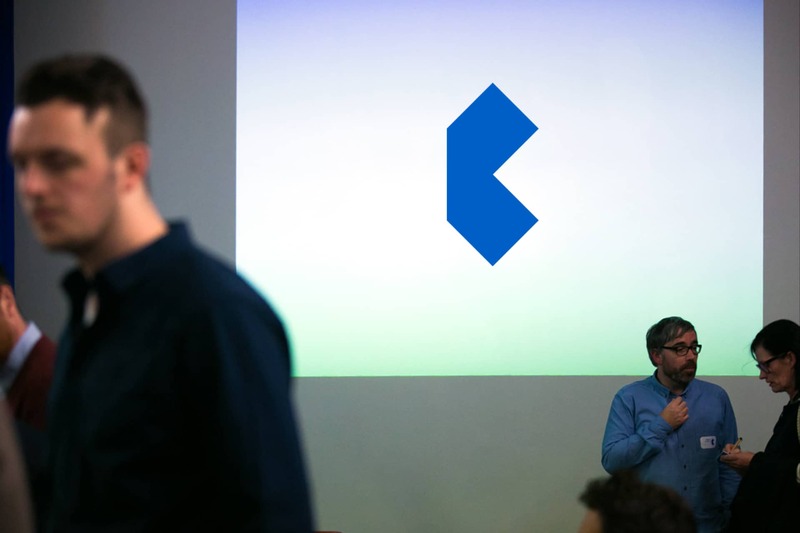 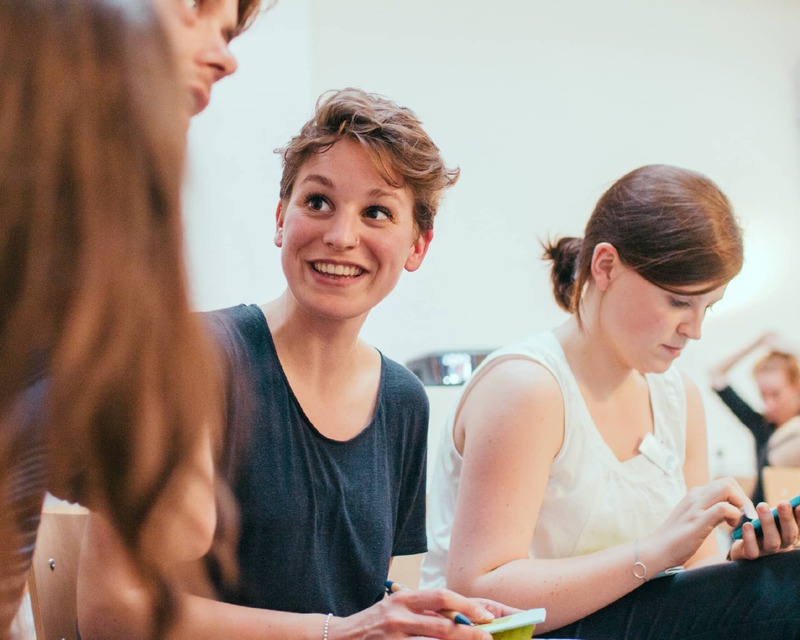 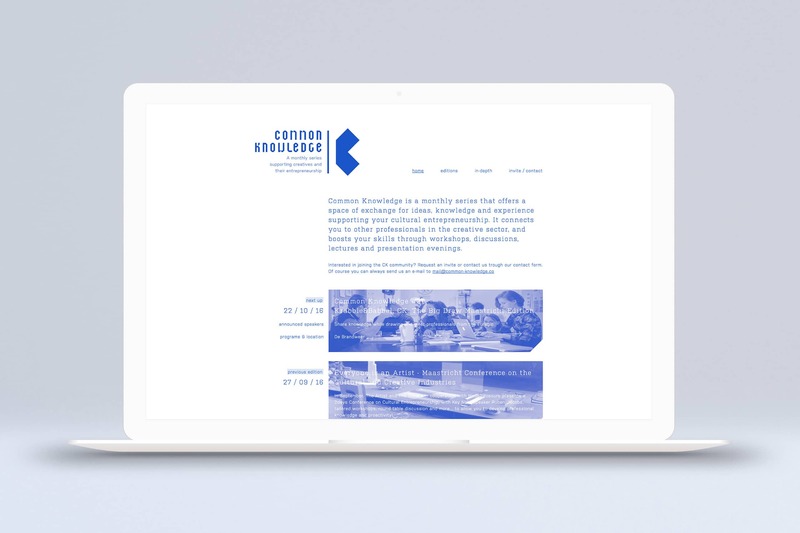 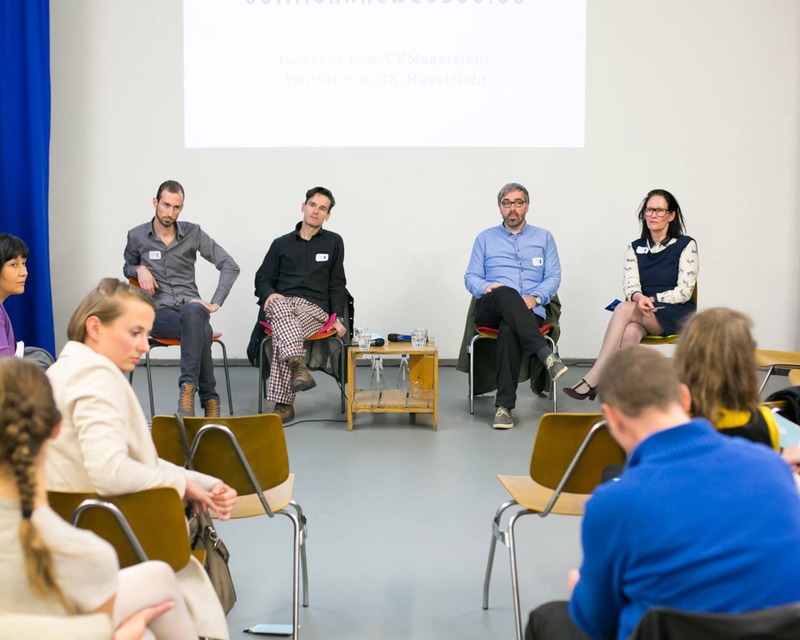 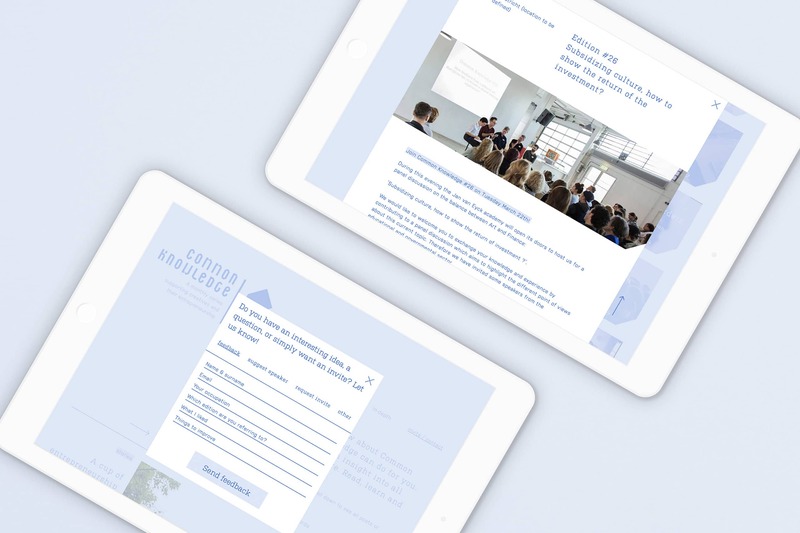 Common Knowledge connects you with professionals in the creative sector of the Euregio and gives you creativity and a boost by offering unique workshops, discussions, masterclasses and presentation nights. Only being creative is not enough. 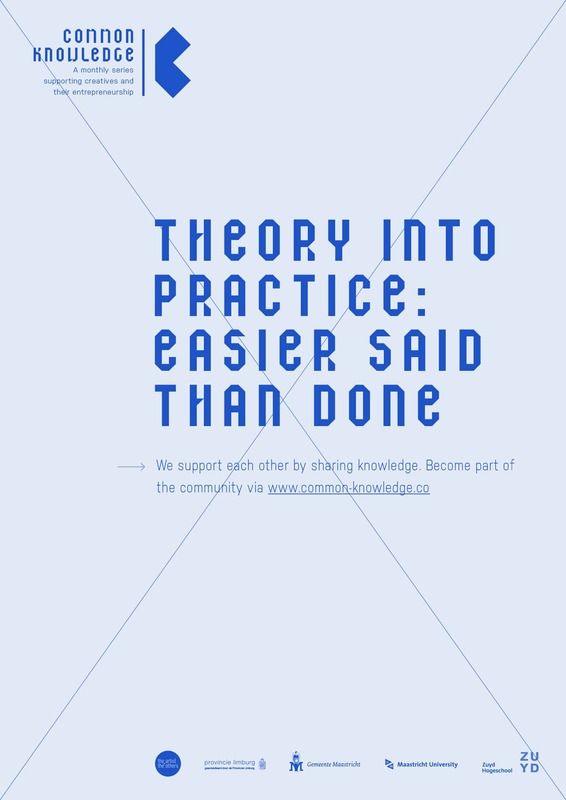 The corporate identity of Common Knowledge is abstract and very technical. It is not an elaboration, but a foundation; a blueprint which functions as a base for a creative career. 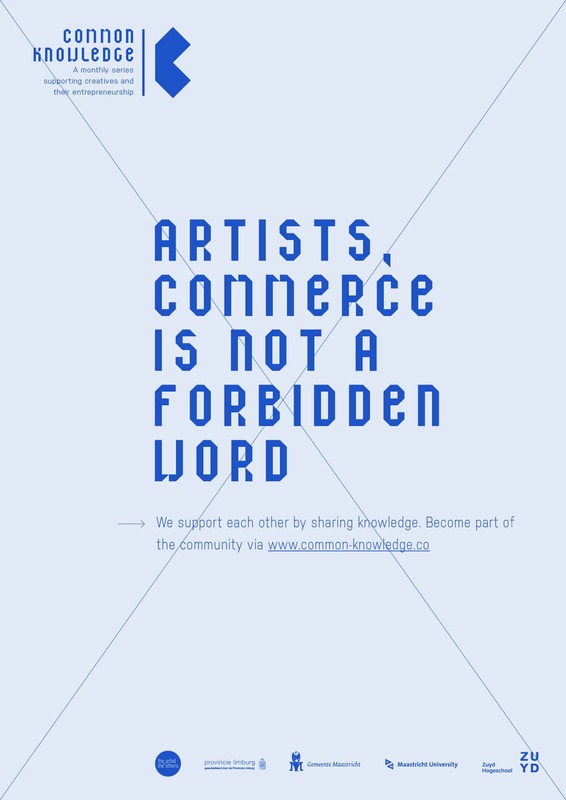 It is a canvas within which everything is possible. 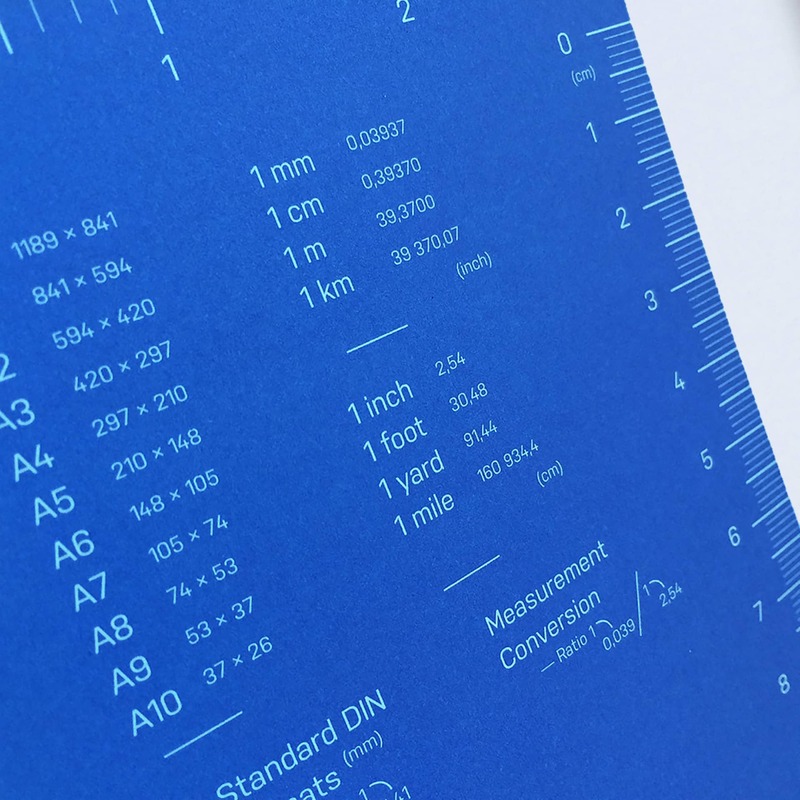 Within this canvas we even developed its own font: Common Sans.